Figure 1: A comparison of a honey bee and a leafcutter bee. Notice the bottom of the abdomen of each species and the differences between them. The most famous of all pollinators are the honey bees but it is important to remember that there are over 5,000 different species of native bees that are also key pollinating species. Within this 5,000 species there are several different families of insects represented. There are smaller bees such as the Andrenidae or mining bees, larger more metallic bees like the Halictidae or sweat bees, the famous Apidae which covers honey and bumble bees, and then the Megachilidae which are commonly known as leafcutter and mason bees. While mason bees are just as helpful as their leafcutting cousins, more people are familiar with the leafcutters due to their propensity to interact with our plants. Figure 2: A rose shrub that has been visited by several leafcutting bees. Each disc of leaf that is snipped will become a cell that houses an individual leafcutter bee egg. Leafcutter bees are the same size as a honey bee, around a half to a full inch depending on the species. If you were to compare a honey bee and leafcutter bee you would notice that the leafcutter bee has a stouter body and larger head/eyes, a darker coloration, and a much hairier belly (Figure 1). 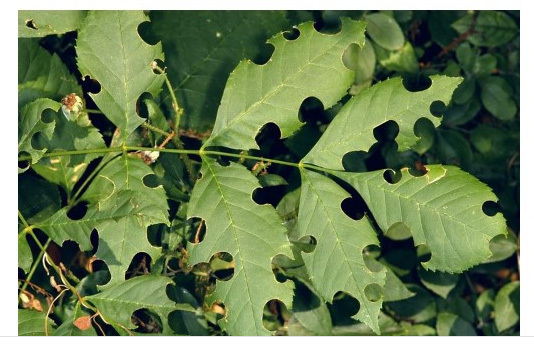 Leafcutter bees will snip discs of leaf material (about a quarter or half inch worth) from trees like ash and shrubs like roses (Figure 2). They then take these leaf discs and fold them up origami style to construct small cigar shaped nests inside of pieces of wood, holes in walls, or in the soil. Inside of each leaf disc you can find an egg and some pollen (Figure 3). When clients notice these discs of leaf material missing they will call in and ask what made their rose leaves look like Swiss cheese. Was it a bug Pokémon like Scyther? 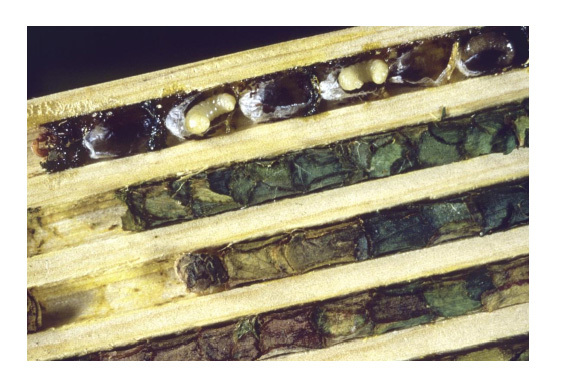 Figure 3: The inside of a leafcutter bee nest. There are cells lined up one after the other and each houses one individual. This is a precut board that is used to attract leafcutter bees to nest around your home. As they are such important pollinators it is best if you can convince the client to not treat for leafcutter bees. If they are concerned for a prized show rose or a memorial tree they can cover these kinds of plants with a cheesecloth cover to prevent bees from slicing the leaves. If people are more concerned with the nests being in their walls or plants we can keep leafcutter bees out with barriers. Seal up holes in the house exterior with paint, putty, or caulking. If you have plants with hollow stems you can seal holes with a drop or two of white glue. On the other end of the spectrum, some folks want to invite more leafcutter bees onto their property. You can purchase mason and leafcutter bees online and release them in your area. Always check to make sure you aren’t releasing potential invasive species though and that you are following local regulations for insect releases. You can also place bee boxes or hollow sticks around your garden and the bees will find them and utilize them. 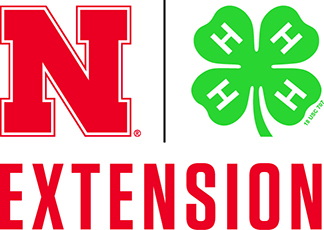 To learn how to create your own pollinator-friendly habitat and find information on building nesting blocks for bees, visit http://lancaster.unl.edu/pest/bees.shtml. ← The August 2016 Issue of the NEBLINE is on-line!